Thanksgiving time: Turkeys are welcome everywhere at Thanksgiving time -- except at the boxoffice. Over the years, Hollywood's gotten pretty good at serving the right mix of films on multiplex Thanksgiving menus. It's essentially the same something-for-everyone approach that restaurants use. Their Thanksgiving menus aren't limited to turkey, but typically also offer fish and meat dishes so people who don't happen to like turkey can find something they'll enjoy. Moviegoers over the five day Thanksgiving period that starts Wednesday (Nov. 23) will find that same philosophy at work. The holiday's wide openings include four films targeted to a range of moviegoing demos. Thanksgiving Day moviegoing by family groups has been a big part of celebrating the holiday going back to the 1980's when people began making theatres their destination after stuffing themselves at early dinners. They also used movies to fill in some of their free hours the following day or over the weekend. Back then, there wasn't any big shopping mall competition for people's time and money on Thanksgiving Day, itself, and the idea of round-the-clock shopping on what's now called Black Friday was still in the future. This year, however, will bring more Thanksgiving Day distractions for moviegoers because many prime shopping destinations nationwide will be open for business, mostly starting in the early evening – including Best Buy, J.C. Penney, Kohl's, Macy's, Target, Toys R Us and Wal-Mart. What effect that early opportunity to start shopping for bargains has on Thursday ticket sales will be something for Hollywood marketers to analyze once they've recovered from their own Thanksgiving festivities. The boxoffice numbers back in the '80s and '90s seem small by today's standards and ticket pricing, but they were substantial enough then to make Hollywood a big fan of Thanksgiving. A good example is "Rocky IV," which opened Nov. 27, 1985 via United Artists to $31.8 million for five days at 1,325 theatres, which was a very wide release then. Before long, there was even more Thanksgiving boxoffice gravy to enjoy. "Back to the Future, Part II," for instance, opened Nov. 22, 1989 via Universal to $43 million at 1,865 theatres. Since then, Thanksgiving opening grosses have soared. The biggest Thanksgiving launch to date was Disney's 3D animated "Frozen." After having played at one theatre for five days, it went wide Wed., Nov. 27, 2013 and did $93.6 million at 3,742 theatres over the five day holiday period. Disney will be back in the Thanksgiving marketplace Wednesday with its PG rated 3D animated comedy adventure "Moana" at about 3,700 theatres. Directed by Ron Clements & John Musker, who directed "Aladdin" and "The Little Mermaid," it stars the voices of Dwayne Johnson, Alan Tudyk and Nicole Scherzinger. In "Moana's" favor is its broad appeal to families looking for something to see that will play to young kids, parents and grandparents. It's hard to find movies that can work for three generations, but 3D animated comedies generally do. Looking back to last Thanksgiving, Disney and Pixar Animation's PG rated 3D animated comedy adventure "The Good Dinosaur" opened Wed., Nov. 25, 2015 to $39.2 million and did $123.1 million domestically. 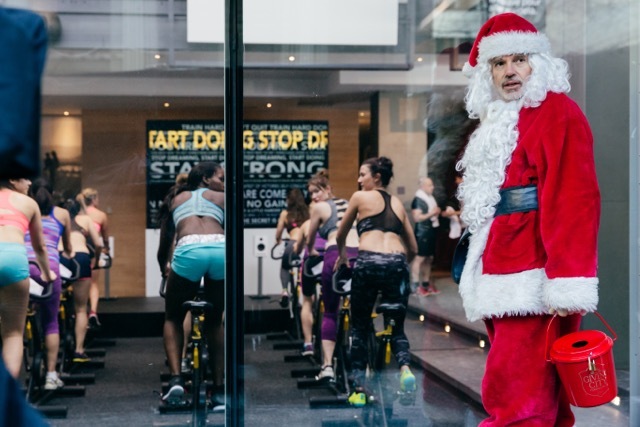 Adult men who like the idea of unwinding with an R rated comedy over Thanksgiving can choose Broad Green Pictures and Miramax's "Bad Santa 2." Directed by Mark Waters ("Mean Girls"), it stars Billy Bob Thornton, Kathy Bates and Tony Cox. In the sequel, con man Willie Stokes (Thornton) plays Santa once again. Driven by alcohol, greed and hatred, he enlists help from his angry little sidekick, Marcus (Cox), to rob a Chicago charity on Christmas Eve. 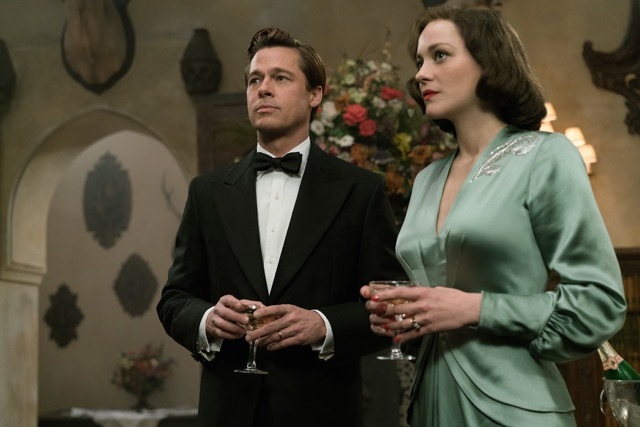 Adult men and women who want to see a film together over Thanksgiving can easily team up for Paramount and GK Films' romantic action drama "Allied" at about 2,800 theatres. Directed by Robert Zemeckis, Oscar winning director of "Forrest Gump," it stars Oscar winners Brad Pitt and Marion Cotillard. "Allied's" adult male appeal is Brad Pitt in a World War II spy film. Its adult female appeal is Brad Pitt opposite Marion Cotillard in a romance driven drama that's opening while Pitt's marital split with Angelina Jolie is still making headlines. Pitt's World War II drama "Fury" opened Oct. 17, 2014 via Columbia to $23.7 million and did $85.8 million domestically. It was directed by David Ayer, whose next film was the blockbuster "Suicide Squad," and also starred Shia LaBeouf and Logan Lerman. Adult women can also spend Thanksgiving with 20th Century Fox and New Regency Pictures' PG-13 rated romantic comedy drama "Rules Don't Apply." Directed by Warren Beatty, a best directing Oscar winner in 1982 for "Reds," it stars Warren Beatty, Lily Collins and Alden Ehrenreich. There also will be some high profile holdovers to choose from in the Thanksgiving marketplace. Warner Bros. and Heyday Films' PG-13 rated 3D fantasy family adventure "Fantastic Beasts and Where to Find Them" opened last weekend to a lively $75 million. The film was a hit with moviegoers, according to comScore's PostTrak audience survey -- "scoring a near perfect 4.5 out of five stars and a huge 'definite recommend' by 74 percent of moviegoers." "Beasts" also opened internationally last weekend to $143.3 million on over 24,000 screens in 63 markets, per comScore, bringing its global cume to $218.3 million. Directed by David Yates, director of the last four "Harry Potter" franchise episodes, it's set 70 years before J.K. Rowling's "HP" stories. "Beasts" is also from Rowling's wizarding world, giving it appeal to "HP's" broad audience. "Harry Potter and the Deathly Hallows, Part 1" opened Nov. 19, 2010 to $125 million and went on to do $296 million domestically. Best actor Oscar winner Eddie Redmayne stars in "Beasts" as "magizoologist" Newt Scamander, who arrives in 1926 New York after a global excursion to document an extraordinary array of magical creatures. What was meant to be a quick stopover turns into something else after some of Newt's quite fantastic beasts escape. Men may also spend some non-football-viewing time over Thanksgiving seeing or revisiting Marvel Studios and Disney's PG-13 rated 3D action adventure comic book fantasy "Doctor Strange." It finished second last weekend with $17.7 million and a domestic cume of $181.5 million. Its international cume is now $390 million, per Disney, bringing its worldwide cume to $571.5 million. In China, Disney said Sunday, "'Doctor Strange' has now crossed the $100 million threshold with an estimated cume to date of $103.2 million, where it remains the #1 western release for a third weekend. The cume to date in China means that 'Doctor Strange' has now already exceeded the lifetime cumes of 'Ant-Man,' 'Guardians of the Galaxy' and 'Batman vs Superman' there." Families will have another animated option in 20th Century Fox and DreamWorks Animation's 3D PG rated comedy adventure "Trolls." It came in third last weekend with $17.5 million and a domestic cume of $116.2 million. Adult men, who typically are the core audience for sci-fi films, also have a possible post-turkey movie destination in Paramount Pictures' PG-13 rated sci-fi mystery "Arrival." With Amy Adams starring, it's also a draw for adult women. "Arrival" placed fourth last weekend with $11.8 million and a domestic cume of $43.4 million. Bottom line: There doesn't seem to be huge front-runner enthusiasm on the best picture Oscar front right now, but that will start changing soon when early awards givers announce their winners or nominees. Oscar marketers will be keeping their fingers crossed over Thanksgiving while awaiting word from the National Board of Review (wins Nov. 29), New York Film Critics Circle (wins Dec. 1), Broadcast Film Critics Association (noms Dec. 1) and Los Angeles Film Critics Association (wins Dec. 4). Last week's People's Choice favorite movie noms reflected moviegoers' likes, but they're generally not echoed in Oscar's best picture race. PC voters applauded comic book driven epics ("Captain America: Civil War," "Deadpool" and "Suicide Squad") and 3D animated family films ("Finding Dory" and "Zootopia"). After online voting, the winners will be announced Jan. 18.